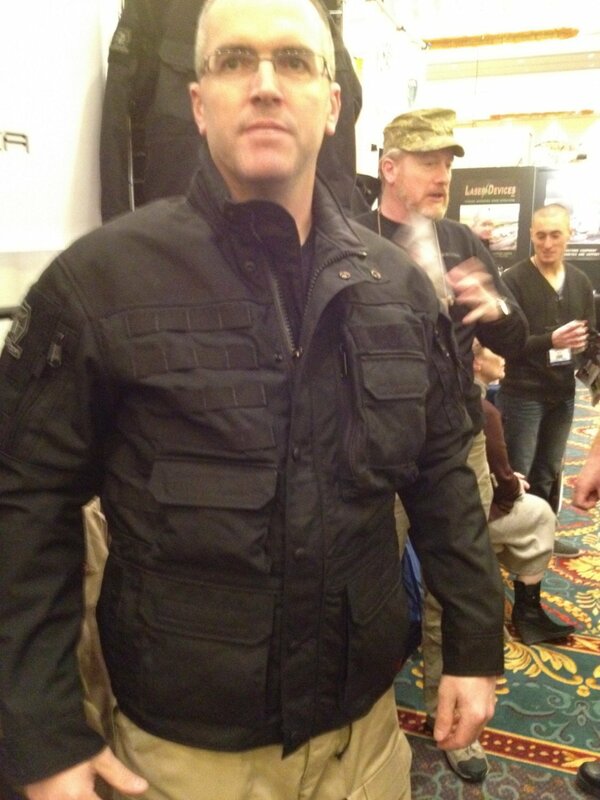 Kitanica Mark V (MK5) Tactical Jacket with Textured Poron XRD Padding System for Civilian Tactical Shooters: The Latest Kitanica Advanced Tactical Apparel/Clothing Product (Video!) | DefenseReview.com (DR): An online tactical technology and military defense technology magazine with particular focus on the latest and greatest tactical firearms news (tactical gun news), tactical gear news and tactical shooting news. All photos and video contained in this article were shot by DefenseReview.com, and are copyrighted. DefenseReview.com owns the copyright on these photos. The photos and video clips were shot with an Apple iPhone 4S smartphone with 8MP (8-megapixel) still camera and 1080p HD video camera. 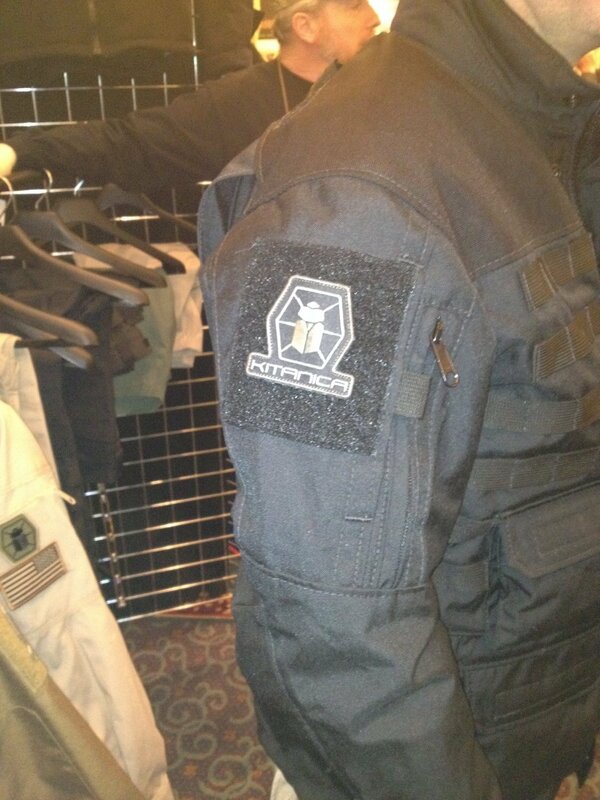 Kitanica showed DefenseReview (DR) their latest and greatest tactical jackets and shirts at SHOT Show 2012. 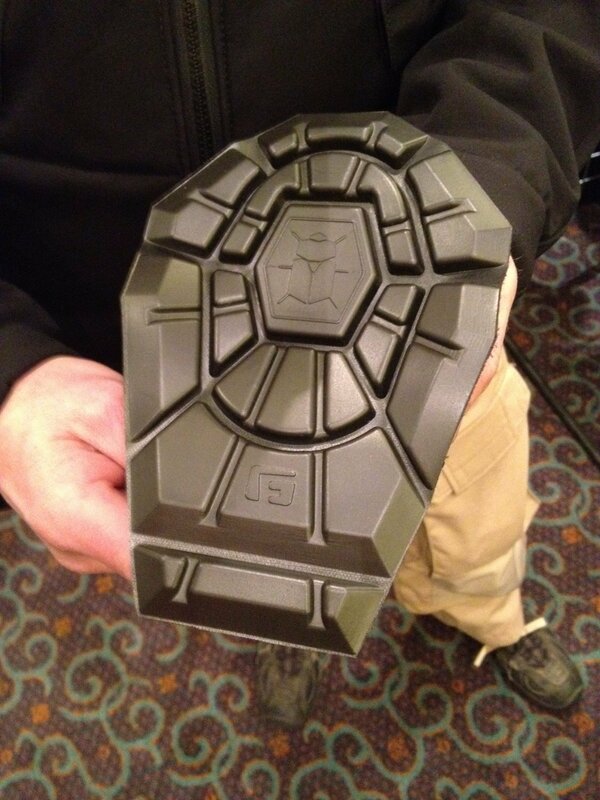 One of the most interesting design aspects of these products is their integration of Kitanica’s interesting padding system utilizing Poron XRD “smart foam” (or smartfoam) material that, according to Kitanica’s Chris Cronen, is “very flexible, super-lightweight” and automatically adjusts its cushioning to the amount of impact it receives. The cushioning pads fit into pockets on the jackets, shirts and pants, and velcro into place wherever the wearer wants and/or needs it to be. The new stuff (at SHOT) looked pretty good, and appears to be solidly designed, particularly the way the foam pads fit into the pockets. 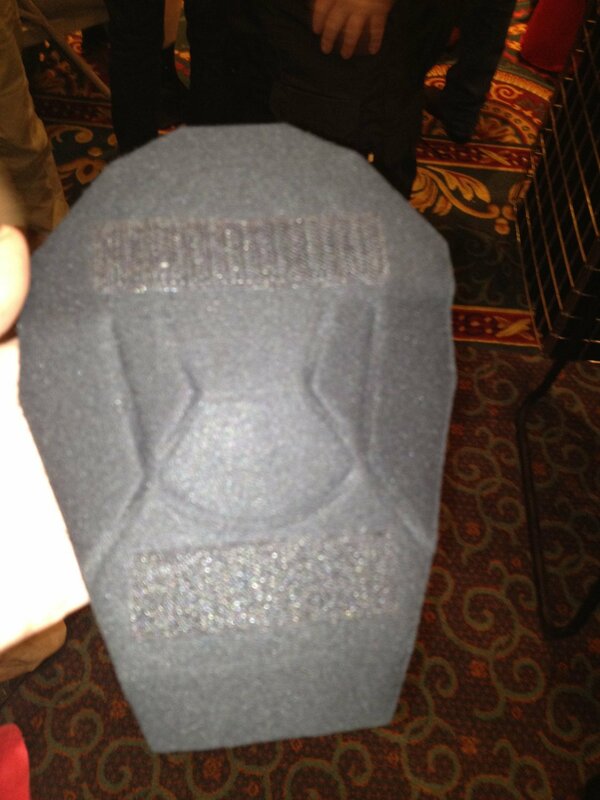 The pads themselves look pretty cool, as well. One of the products we saw was the Kitanica Mark V (MK5) Tactical Jacket (field jacket/coat length), which is made mostly of 500-denier Cordura fabric, with 1000-Denier Cordura on the elbow portion of the sleeves and on the cuffs. 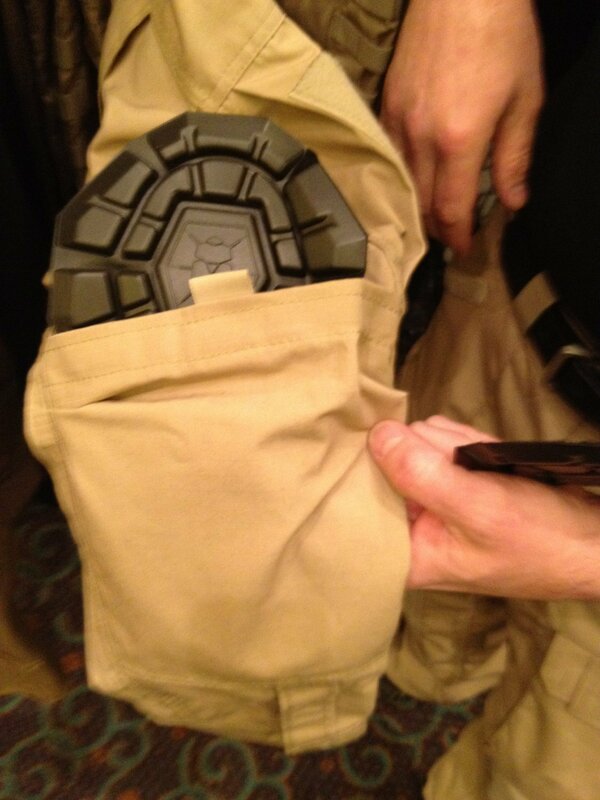 The MK5 tactical jacket is packed with 13 utility pockets. Cronen also showed DR the new Kitanica Mark I (MK1) Fleece Liner, which sports two large inward-slanting utility pockets on the front of it. 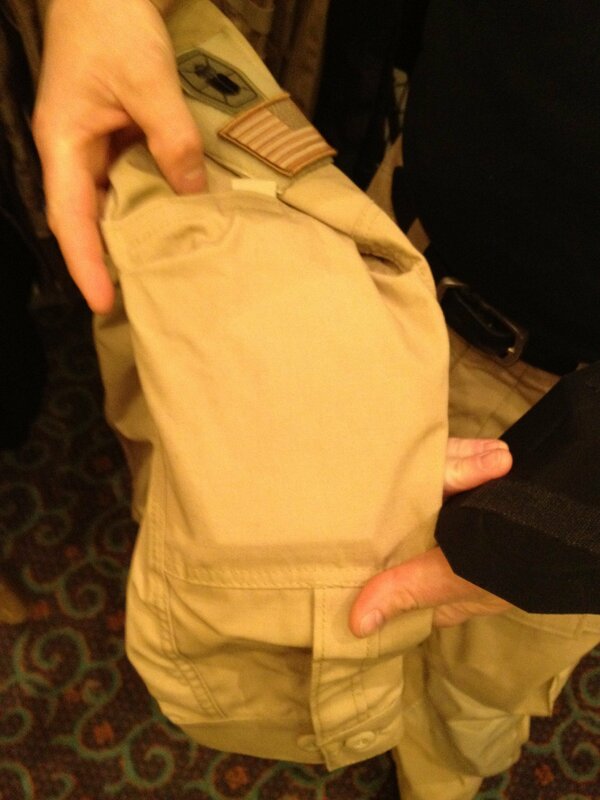 We don’t know what model tactical shirt Cronen showed us, but we’ll try to find out. 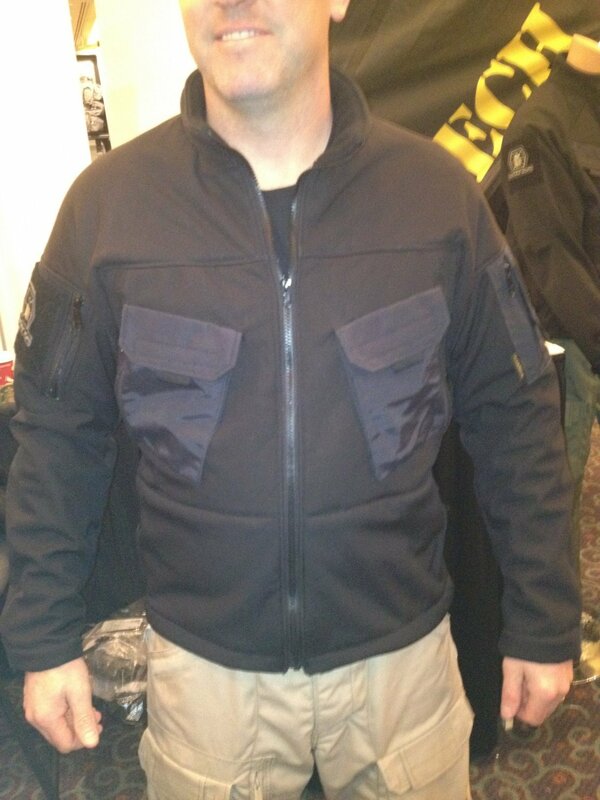 Kitanica also had a Kitanica Mark I Tactical Jacket hanging in the booth, and you can watch a video on it and the PNT-XA Tactical Pant, below. Cronen didn’t take us through the Kitanica MK1 Tactical Jacket, Kitanica Tactical Shirt or Kitanica PNT-XA Tactical Pant in detail, but being “tactilicious” as they are, they’re both on DR’s future T&E list. When it comes to tactical chic apparel, Kitanica is definitely a small company to watch. Their products look well-designed and well-made. If you’re a civilian tactical shooter, Defense Review would recommend you give them a look. DR will also try to get some of their products in-house at some point for some range T&E. In the meantime, we hope you enjoy the accompanying photos and video clip(s) below. Editor’s Note: DefenseReview likes Kitanica’s beetle logo (beetle inside hexagon), but we’re biased towards it since your humble correspondent’s father collected ancient scarabs (among many other things). Previous: Israel Weapon Industries IWI ACE 52 7.62x51mm NATO “Assault Rifle” Battle Rifle for Military Infantry Special Operations Forces (SOF): Coming to the Commercial Market for Civilian Tactical Shooters?